Spoonier Exclusive! 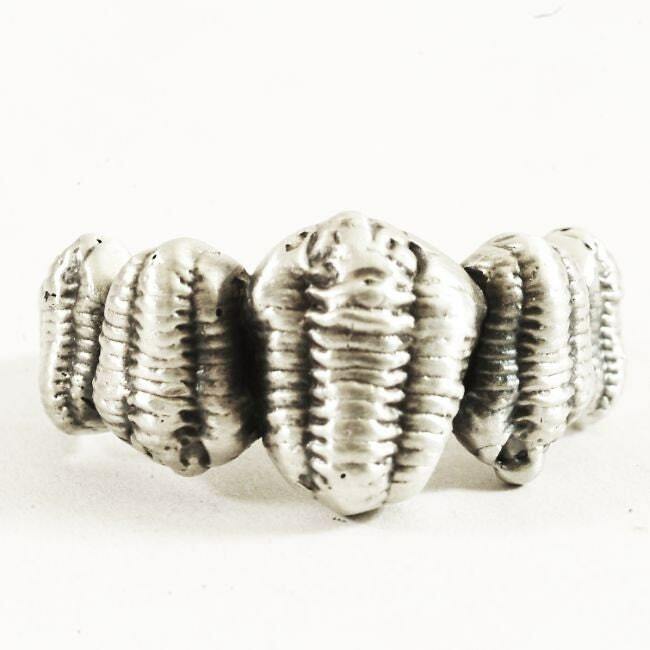 Very unique Trilobite ring for your jewelry collection. 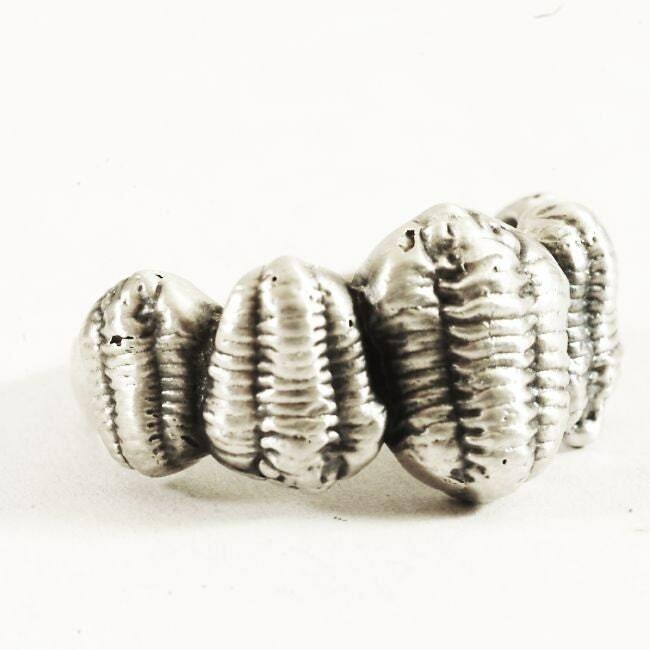 This ring has highly detailed renders of 5 Calymene Trilobites. 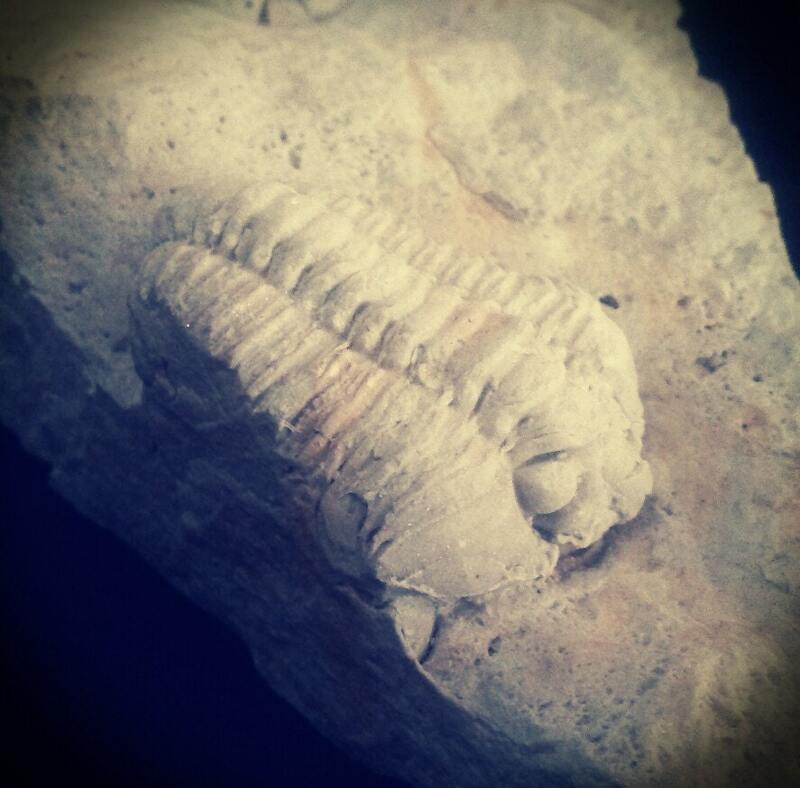 We have acquired a lovely detailed fossil (by actually trading it for a spoon ring) with a fossil digger in Utah! We 3-D scanned the fossil (which is millions of years old!) 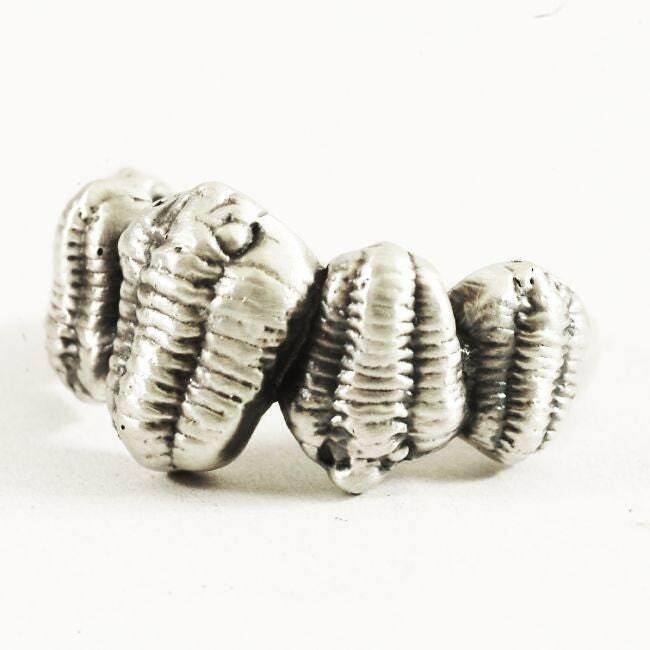 and used our CAD software to design some different Trilobite rings here that we thought would be a unique addition to the world of Trilobite jewelry on Etsy! 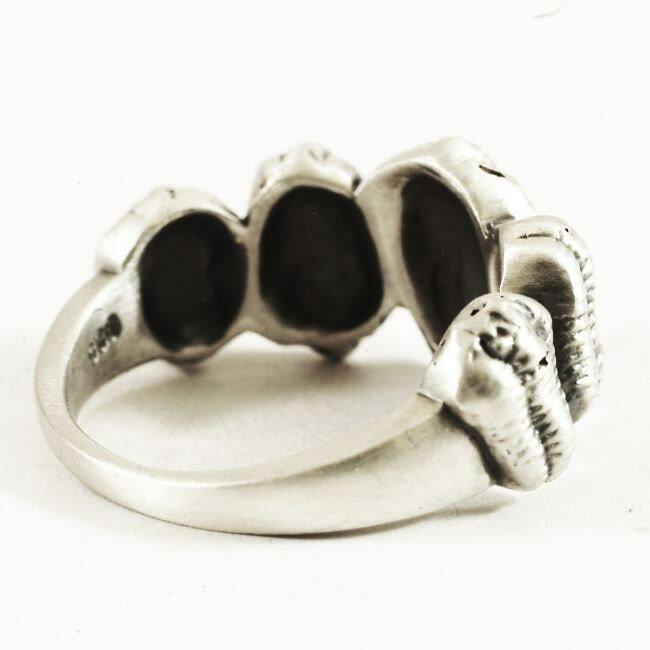 This specific design would be perfect for the fossil lover with a family of 5! 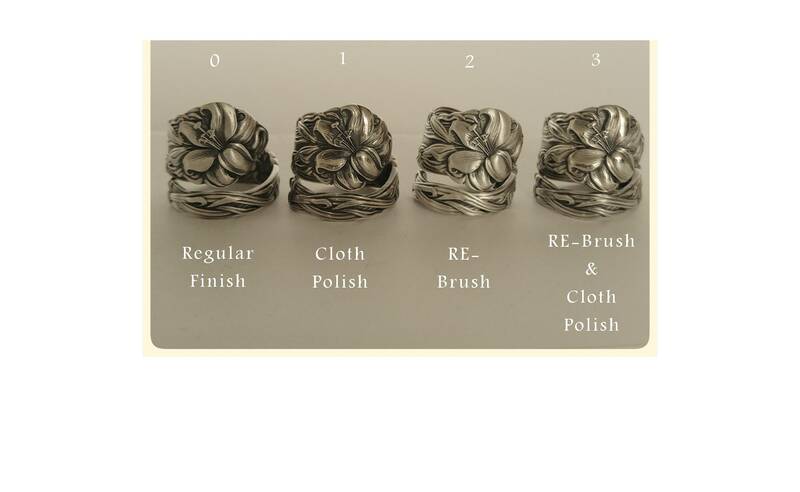 Made of 100% recycled USA sterling silver we have collected from antique sterling silver spoon bowls using the lost wax casting technique in our home! Size: Custom! Choose the size you want between 6 and 16! The band after those guys starts at 5mm and tapers down to 2mm in the back. The setting is about 5mm high from the finger. Please allow up to 1-3 weeks your item to ship. Most will arrive within 5 business days (longer for shipping internationally) after shipping notifiacation. Rush delivery available upon request, please message me if you have a specific request.